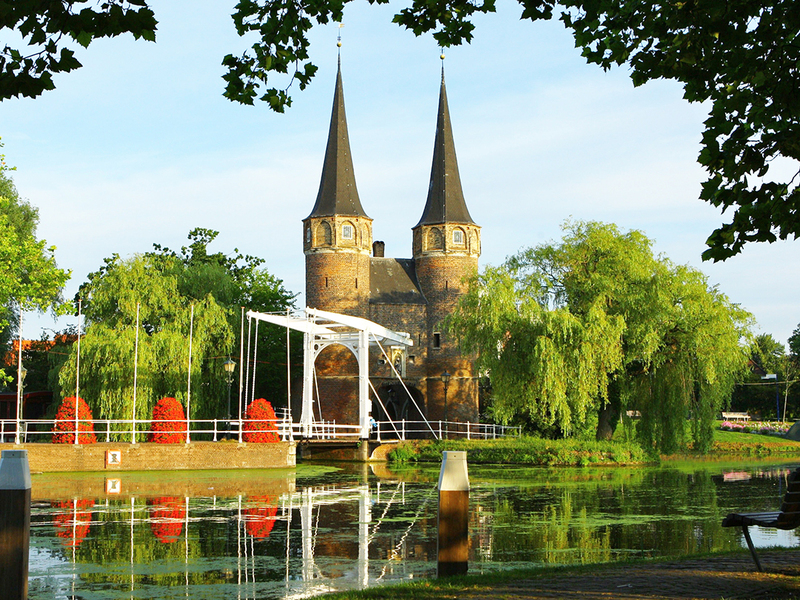 Delft is the city of the breath-taking monuments, history, hospitality and is trendy. In other words it is the living room of the Netherlands. In 1258 our city got its first rights. Starting from that moment the city started to develop and never stopped. The great point about that is that we still have the beautiful buildings and history from all those centuries ago. Think about the Prinsenhof where the Famous King Willem van Oranje used to live, or the famous painter Vermeer and the origin of Delfsblue. 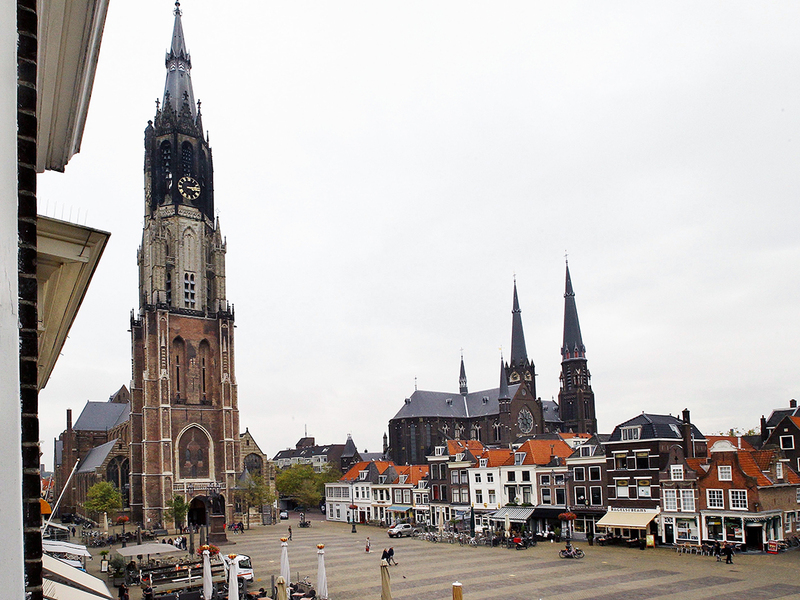 While climbing the new church of Delft you will have a breath-taking view over the city and its monuments. 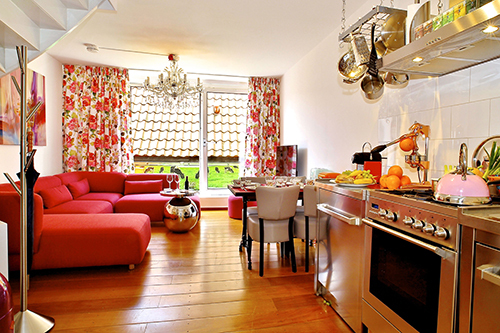 All the great restaurants, cafés and shopping streets are all in walking distance. Everything you need is just around the corner. And did you know that Delft is the last resting place of the Royal Family? Under the new Church on the Market Square our Family is getting their last rest. Located between Rotterdam and The Hague with a train connection of less than 15 minutes. We have direct connections to Amsterdam, Schiphol and even Rotterdam The Hague airport. Below you will find an overview of all monuments, shops and restaurants you need to visit when your in Delft. 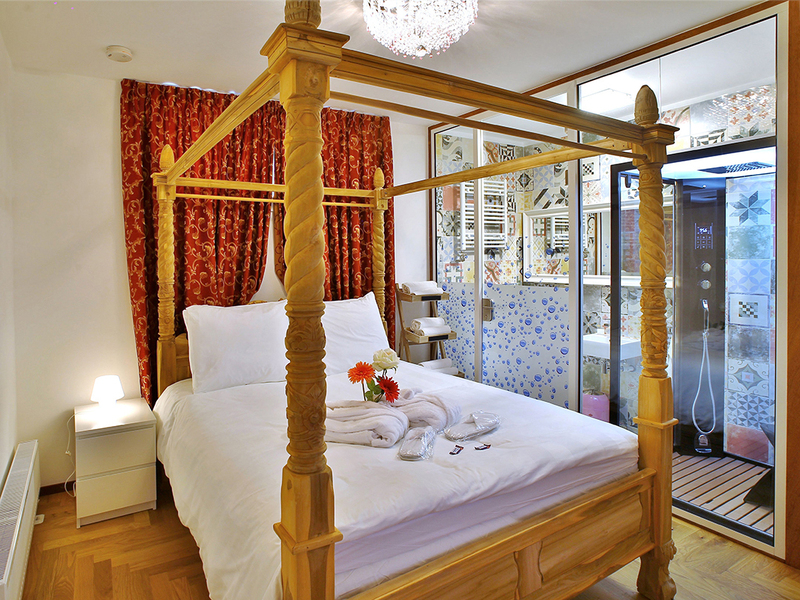 Full of tips to make your stay in Delft unforgettable. Click on the squared icon in the right bottom corner to see it full screen. The world famous Dutch painter Johannes Vermeer (October 1632 – December 1675) was born in Delft. He specialized in domestic interior scenes of middle-class life. Vermeer was a moderately successful provincial genre painter in his lifetime. He evidently was not wealthy, leaving his wife and children in debt at his death, perhaps because he produced relatively few paintings. Vermeer worked slowly and with great care, and frequently used very expensive pigments. 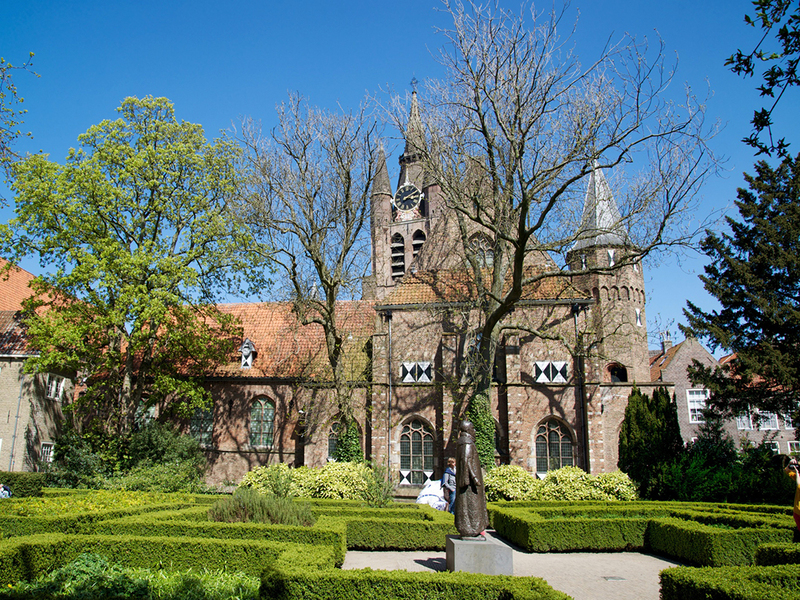 Museum Prinsenhof Delft was initially called Saint Agatha Monastery. Alyd Busers (died in 1409) was a wealthy widow who joined a group of Delft sisters at the end of the Fourteenth Century – together with her daughter Aechte. In 1403 this group took a house at the Oude Delft in use as a monastery. They called this monastery the Saint Agatha monastery to Saint Agatha, the saint of daughter Aechte. As the group of sisters became increasingly larger, the monastery was expanded many times until it became the largest (and also richest) monastery within the walls of medieval Delft. After the Reformation in the second half of the Sixteenth Century, the building complex was divided into separate parts. Part of the chapel remained in use as a Reformed church space and in the long southern wing there were still some tolerated monastic sisters. The rest of the buildings were designed by Prince William of Orange, who lived regularly in the Agatha monastery from 1572 until he was murdered in 1584 by Balthasar Gerards. Nowadays the building is named Prinsenhof Museum. It contains a number of astonishing pieces of art that make you feel like being part of the Delft history. Well worth a visit! Royal Delft is the last remaining earthenware factory from the 17th century. 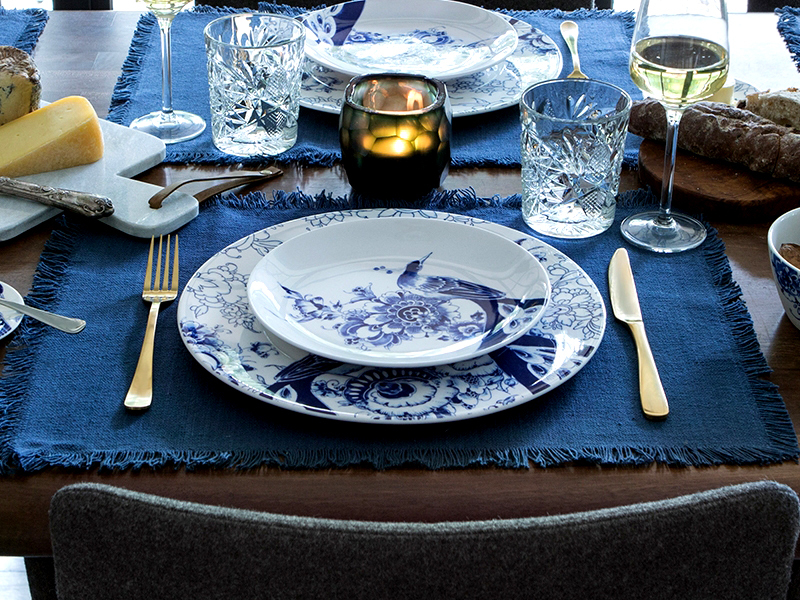 Here the renowned Delft Blue is still entirely hand painted according to centuries-old tradition. At the Royal Delft Experience you will discover the complete history and production process of Royal Delftware. Here, you can feel the painters’ passion during a painting demonstration, admire the museum collection and wander through the factory where craftsmen are busy producing the products. Visiting Royal Delft will change your outlook on pottery forever. The East Gate (Oostpoort) is the only remaining city gate of Delft. Here you can almost feel the ancient need to defend the city against several enemies during the early ages. The gate was built around 1400. The towers were raised in the 16th Century. The East Gate consists of a land gate and a water gate that are connected to each other by the remains of a city wall. Nowadays the building is used as a home and art gallery. The adjacent Oostpoortbrug (East Gate Bridge) dates from 1514 and, like the gate itself, is also a national monument. Don’t skip this example of sheer building beauty! Creating this world famous landmark at the Market Square kept Delft builders busy from 1393 until 1655. The result is stunning. The New Church is one of the most beautiful cathedrals in Europe, towering over the historic city for up to 109 meters. The view from up there is breathtaking and so is the interior. The cenotaph of William of Orange is an absolute marvel of architecture. The nave of the New Church also contains the family vault of the House of Orange. Don’t miss it! 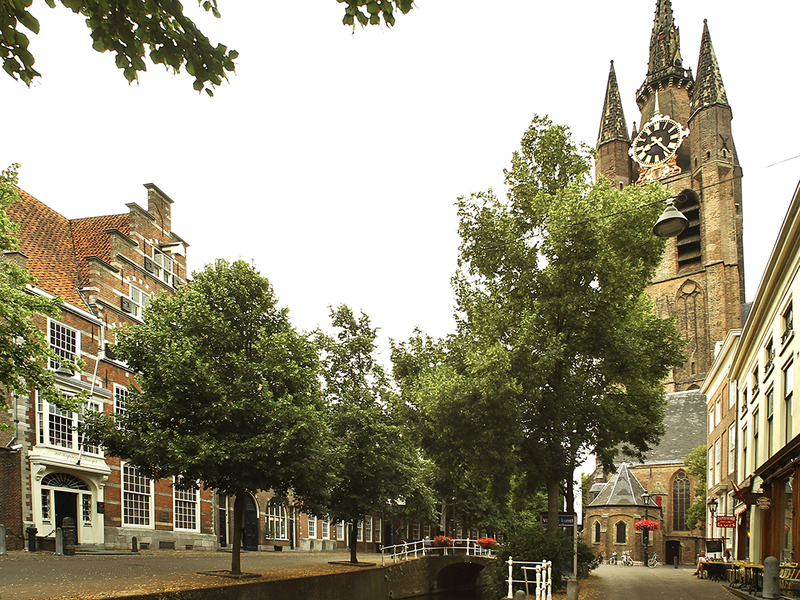 At the Heilige Geestkerkhof you find the oldest church in Delft, which is lovingly called ‘De Oude Jan’ by citizens. Its tower leans by almost two meters. The restored church has a beautiful interior – the sculpted pulpit from 1548 and 27 stained-glass windows are particularly striking. Like the famous sea-faring heroes, Piet Hein and Maarten Tromp, Johannes Vermeer is buried in the Old Church. As well as the poet/preacher Stalpaert van der Wiele and the physicist Anthony van Leeuwenhoek. Well worth a visit! 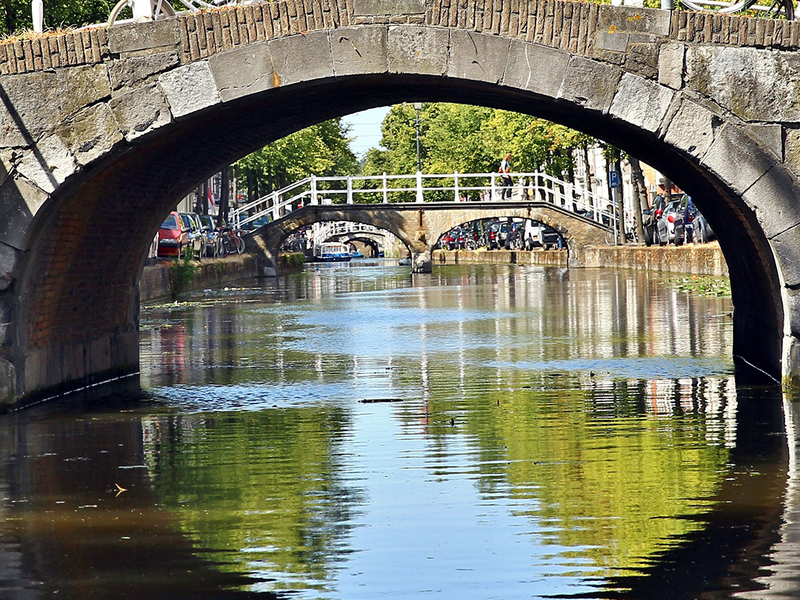 Exploring Delft is not complete without a canal tour. Rondvaart Delft has been cruising the beautiful canals for over 50 years, providing their guests a breathtaking view of the historic city. You will see the medieval and Golden Age mansions, where members of the Dutch East India Company counted their money and their blessings, making Delft one of the most important Dutch cities. The tour guide tells you the whole story, making sure you will never forget this trip through Delft history. Would you like to enjoy the city of Delft while comfortably leaning back? Meet our friends at Delft City Shuttle. Get on the shuttle whenever you like and let them drive you along the beautiful highlights. 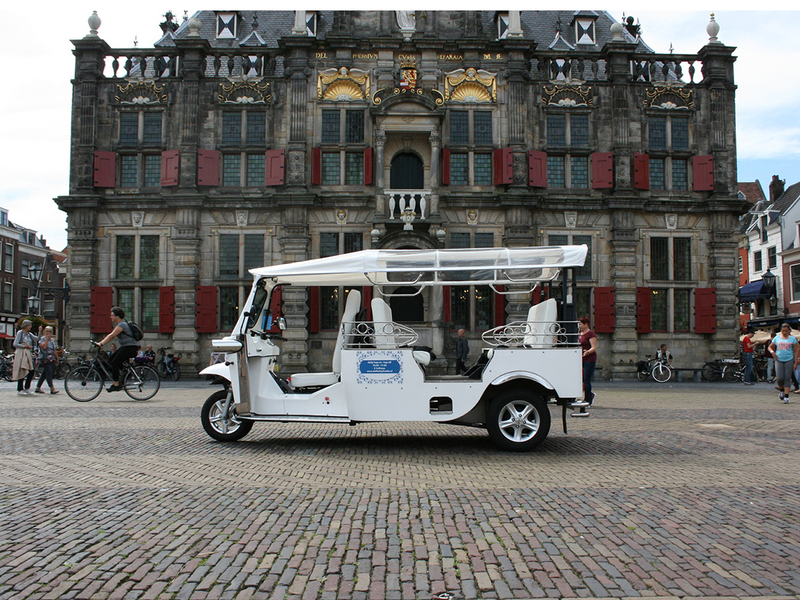 Delft City Shuttle has 14 stops across the city of Delft where you can catch a shuttle every 20 minutes. You can book your sightseeing PLUS with Delft City Shuttle along with your Luxury Apartments Delft reservation. It’s only € 2,- euros per trip per person. Nice! 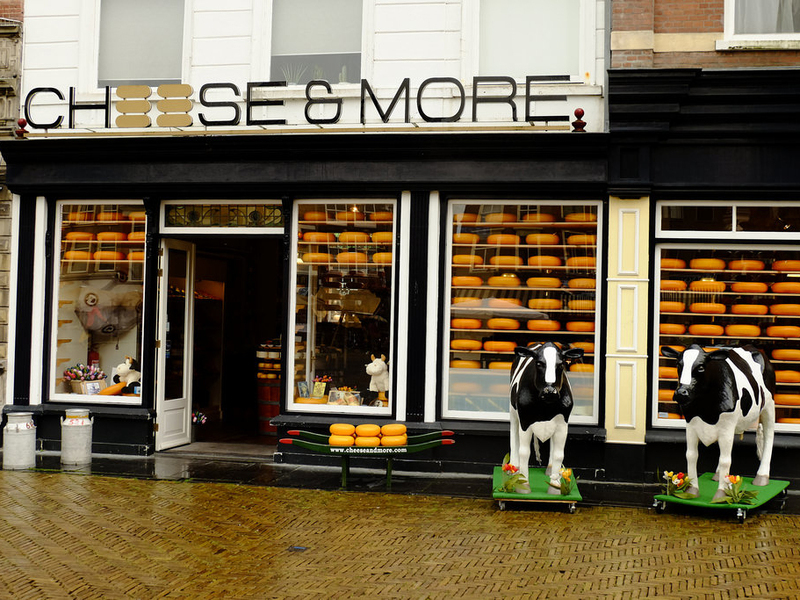 In the middle of the historic centre of Delft, on the Market Square, you can find Cheese & More by Henri Willig. Here you can find an extensive range of Henri Willig cheese and other amazing, matching products including different varieties of mustard and cheese dips that can be tried and tasted and can be wrapped on request to create the ideal gift. Moreover, our employees – dressed in traditional garb – can tell you everything there is to know about traditional cheese making. Boudoir Le Mariage is what the name tells you. A warm and dressy design with the feeling of Moulin Rouge. Of every detail has been taught like flowers on the tables, paintings on the walls and even the toilet is designed. The menu has several signature dishes such as the famous Mustard soup, carpaccio, chateaubriand and the great tuna made by Ed himself. They cook the dishes from the season which will alway give you a different menu. 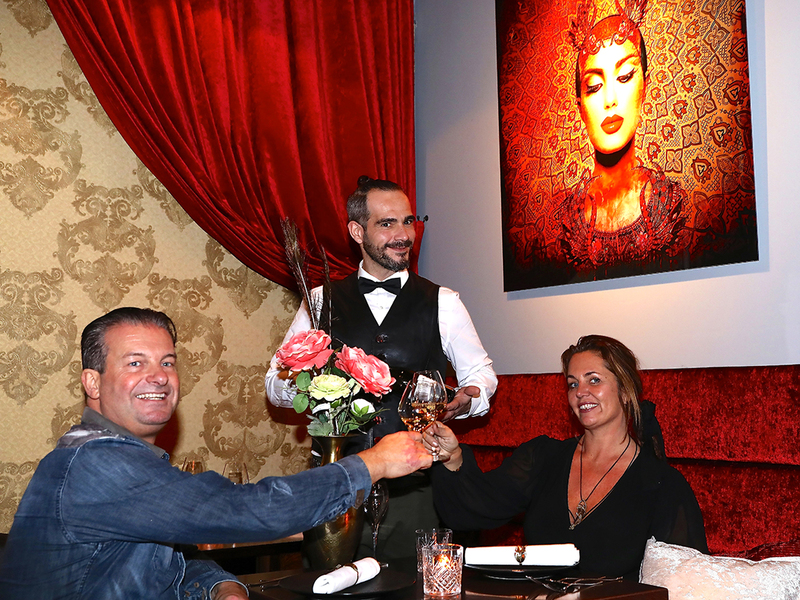 Creativity and tast are the most important factors of the restaurant. Don’t wait to long and experience it yourself. Beierd Café is located right next to the Maria van Jesse Cathedral. One of the most beautiful landmarks in Delft. At this somewhat sacred spot the owners of Beierd Cafe bring happy people together. They do so using their cooking skills and their hospitality. 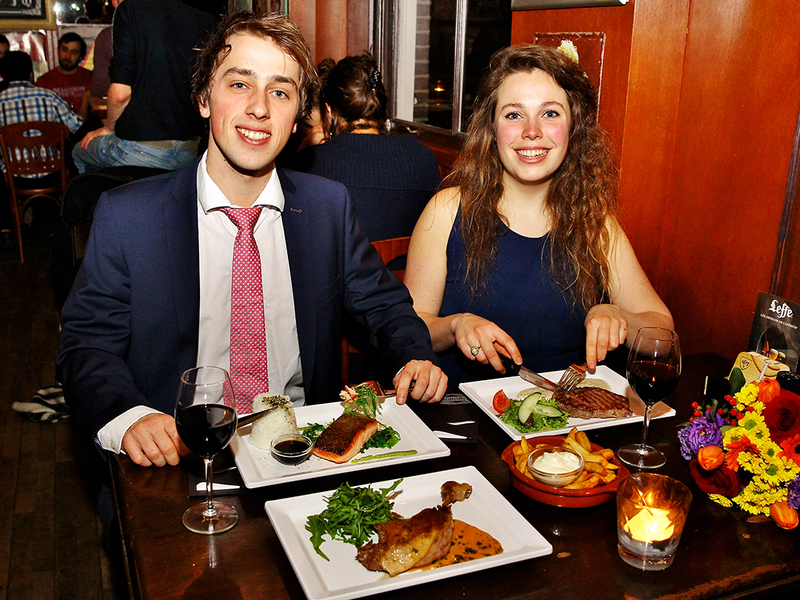 Beierd Café is well known as one of the best places to eat and drink. At lunchtime, the chefs provide numerous exiting dishes and dinner brings their best skills. 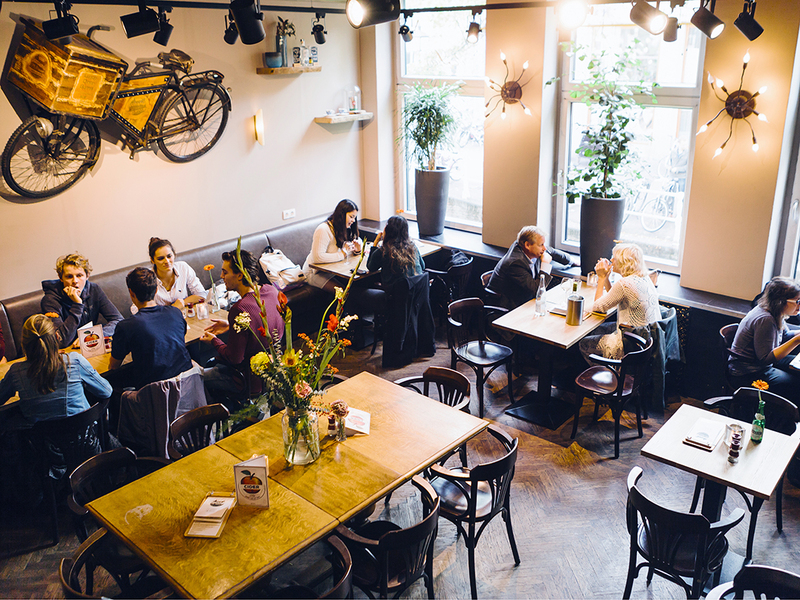 In between Beierd Cafe is the perfect location to meet friends, have interesting conversations or just sit down for a nice fresh beer. Very good food. Check pictures on Tripadvisor. Peking Wok will take you on an Asian tour. During a number of decades Peking Wok introduced complete generations of Delft into the fine art of Asian cooking. We know they will surprise you as well as they have surprised us. Peking Wok provides an unbelievably complete menu from which every bit is unique and comes with the culinary passion that is characteristic for the Chinese kitchen. Perfect to have lunch or dinner. You can order a la carte or enjoy the wonderful Wok Experience. One way or the other Peking Wok offers you the best Asian dishes. Dinner on the famous Market Square in Delft. 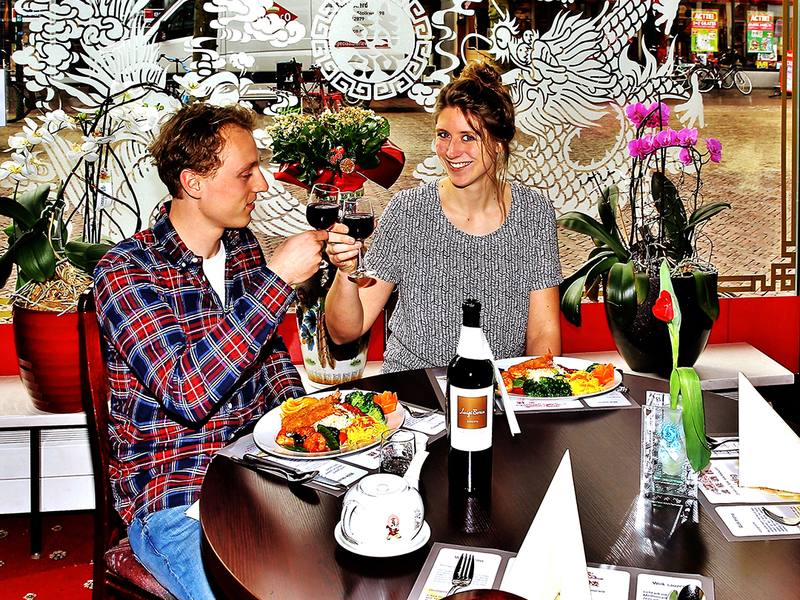 Behind the city hall you will find Grand Cafe the Sjees where you can have a lovely meal and end with a nice drink. 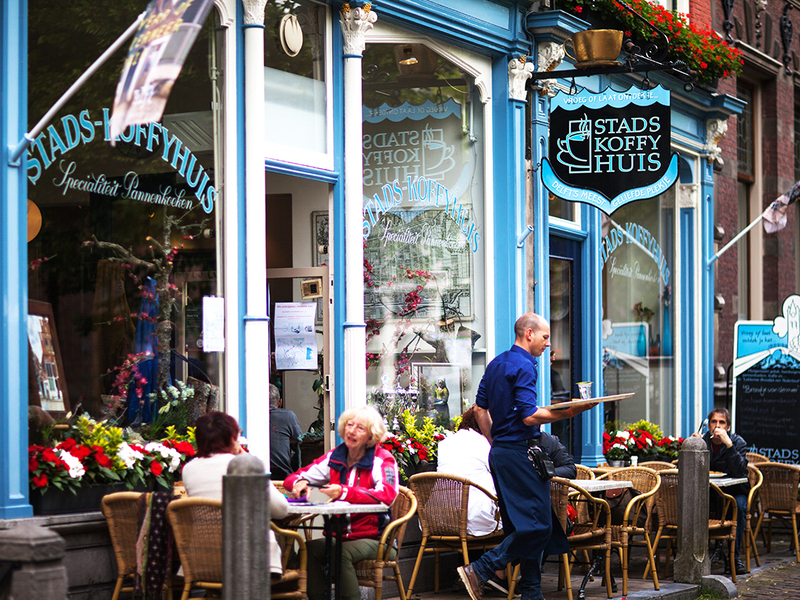 The Sjees is elected one of the most friendly and best cafes/restaurants of Delft. For the real ice cream and coffee lovers we recommend ‘Otelli Geletaria & Espressobar’. 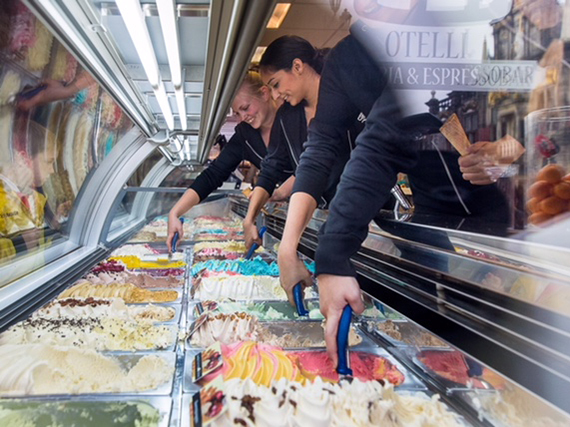 Located on the Market Square of Delft with the best Italian Ice cream prepared with natural products. As an extra they offer perfect Illy coffee prepared by a real barista. Did you know that Otelli is ranked Number One on the Best Coffee in an Ice-cream Shop chart? 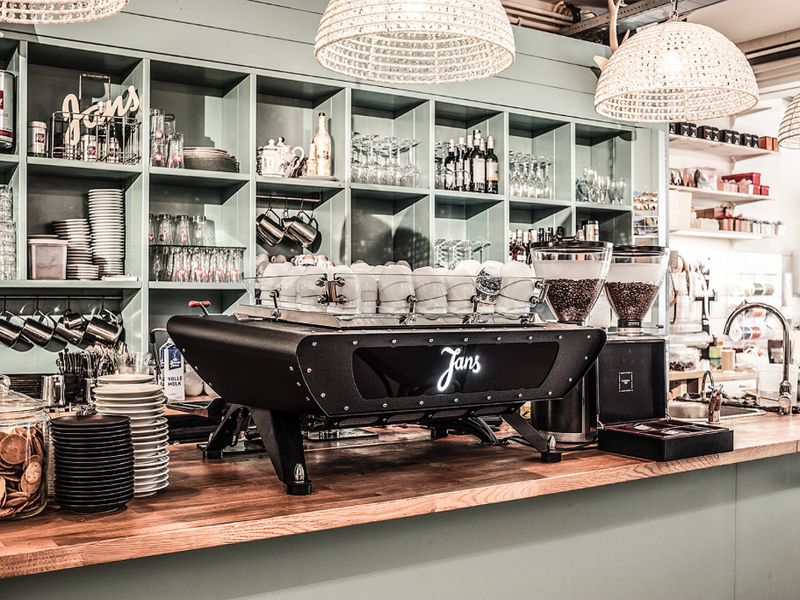 And within the Top 30 of Best Dutch Coffee Bars? Relax on their beautiful terrace and have a breath-taking view of the City Hall and the New Church. Enjoy the ice cream and freshly prepared coffee. Breakfast and lunch are the most important meals of the day. At Stads-Koffyhuis they understand this. 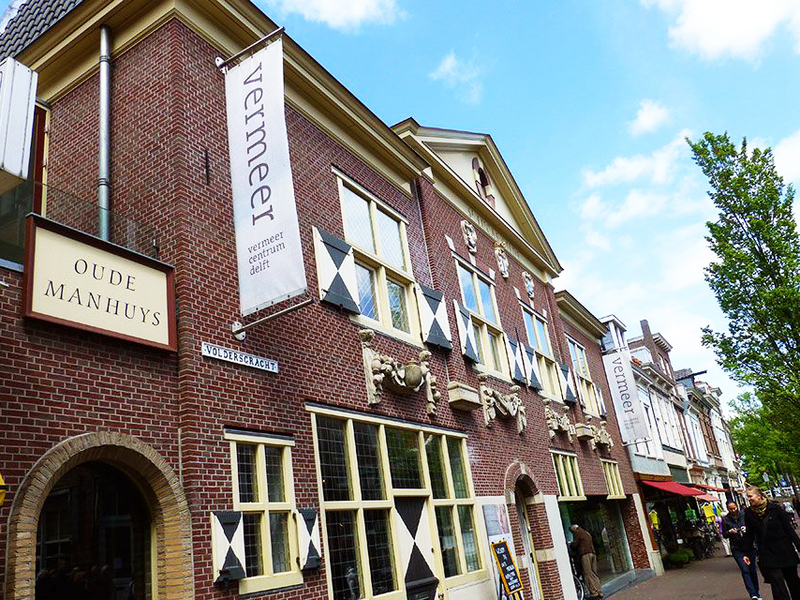 It is located at the most beautiful street of Delft: The Oude Delft 133. 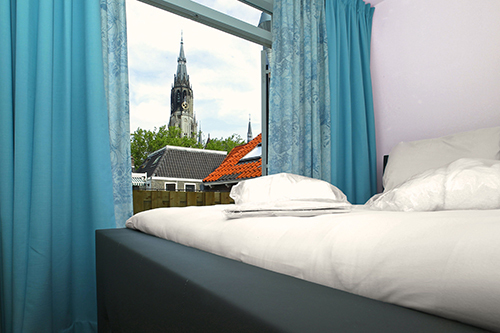 From their terrace, you will have a view on the Old Church and the canals of Delft. Serving the most delicious award-winning sandwiches, soups, salads and their famous pancakes with sweet or savoury toppings. Making a cup of coffee at home gets all the trendier. State of the Art machines provide fantastic results and wonderful taste. However, nothing in the world beats the art of coffee making by the real barista. Meet them at Jans Delft. Our friends welcome you to have that piece of art after your long journey to Delft. 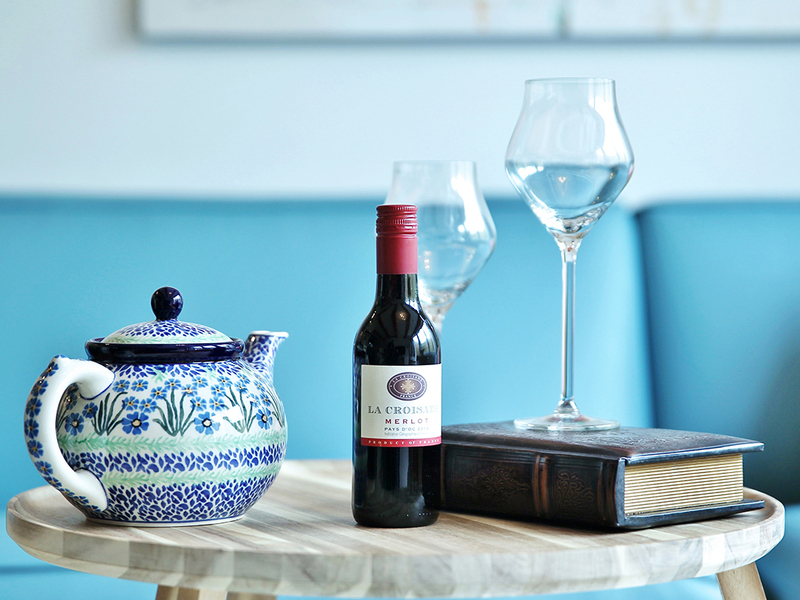 As a guest of Luxury Apartments Delft, your first cup of coffee will be a gift from us. Are you an international traveller looking for some local optical or hearing aid assistance? Have you lost your contact lens, did you forget to bring your sunglasses or do you have some problems with your hearing aid? Van der Leeuw welcomes every guest of Luxury Apartments Delft in their shop for the best service and assistance possible. 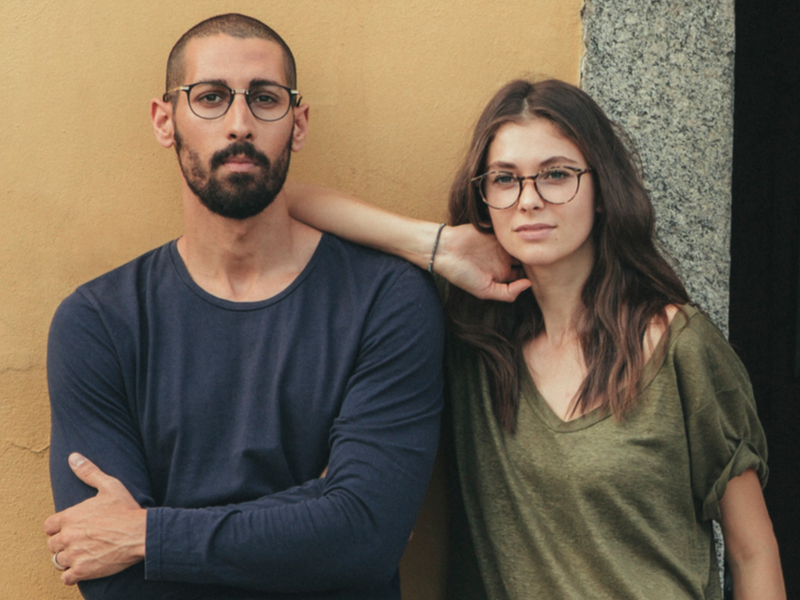 Van Der Leeuw has anything you need for your eyes and ears including high fashion frames of famous brands like Chanel, Dior and Ray-Ban. Visit their store in the city centre of Delft at Koornmarkt 82-86, nearby the Market Square. Our good friends at Club SportsArt Fitness Delft literally keep people healthy. Exercise is everything they say. The personal trainers give the art of inspiring people their very best shot. You can drop by any time you like to experience the pleasure of a nice work out. Just to get away from the working stress. 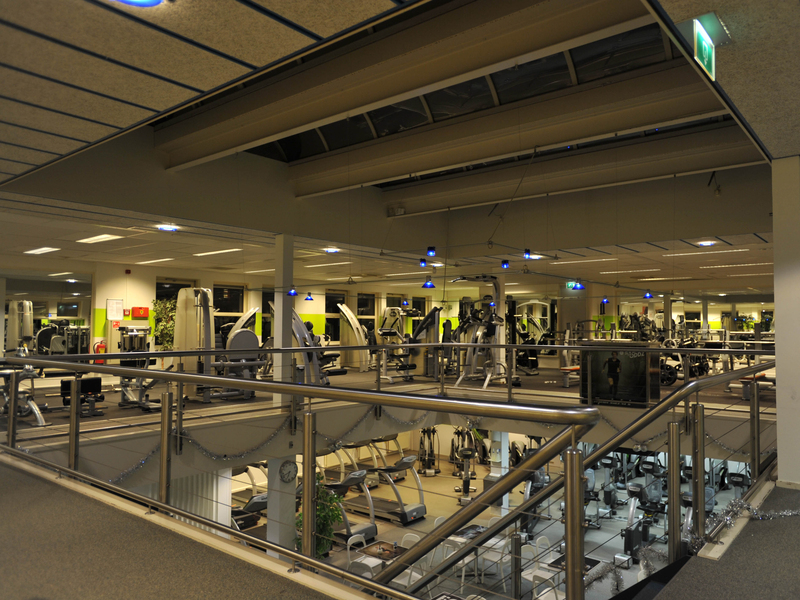 Club SportsArt Fitness sets the standard in Delft. There is simply no better place to work your body in such an intense but responsible way. The machines are really State of the Art, the training schedules personally made and the drinks/ snacks are delicious and healthy. Guests from Luxury Apartments Delft who are staying for 2 nights and longer receive free vouchers for the gym. Dinmar fashion store is located next to the Market Square on the Oude Langendijk 3 in a historical building. Dinmar is a store which not only sells clothes but also a feeling. Their team is always ready to help and will also give you time to look around if needed. This all enjoying a nice cup of coffee or thee. The power of the store is the mix of luxury and sharp prices. This is also where the slogan ‘Runway meets reality’ comes from. In the store you will find unique brands that represent quality, originality and to create your own style. All the guests of Luxury Apartments Delft will receive a € 15,00 discount coupon for the store as a welcome gift to Delft. Pass by and let the shopping begin.